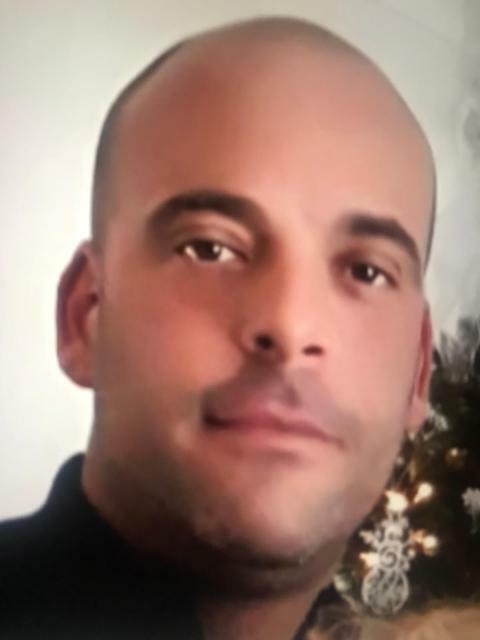 Detectives investigating the murder of 38-year-old Rocky Djelal, who was fatally stabbed in Southwark Park shortly before 14:00hrs on Wednesday, 31 October, have released CCTV footage of the suspect that they wish to trace. Detective Chief Inspector Simon Harding, from the Homicide and Major Crime Command, said: “We are releasing a short clip of CCTV footage of the man we want to speak to in relation to the fatal stabbing of Rocky Djelal. The video shows the suspect in the park prior to the attack and then leaving shortly after he has killed Rocky. “I hope that by releasing the footage someone might recognise the suspect, his walk, his clothing or maybe his gait. “From leaving the park at 14:00hrs, the suspect walks out onto Gomm Road. At the end of Gomm Road the suspect turns left onto Lower Road passing in front of the Seven Islands Leisure Centre, heading towards the large roundabout at the north end of Southwark Park close to the entrance to the Rotherhithe Tunnel. "I’m sure that someone would have walked past him and I need these sorts of witnesses to come forward and help us piece together his movements. I also would like to hear from anyone who may have taken pictures or video on their mobile phones whilst in Southwark Park between 11:00hrs and 14:15hrs on Wednesday, 31 October. Witnesses have described the suspect as a white man, believed to be aged between 20 and 35 years old. He was wearing dark clothing with a hood covering his face. He was also wearing a fluorescent hi-vis vest over the top of his clothing. Rocky’s family said: "We would like to thank everybody for the kind words, love and support you have shown our family at this time. Thank you to all of the people who rushed to Rocky's aid in the park and made sure our boy was not alone in his final moments. Thank you to all of our friends and family who waited in the park with us while we waited for our boy to be taken away, we couldn't have done it without you. The messages and phone calls of support we have received have blown us away. It's so comforting to hear all the lovely things you all have to say about Rocky and to know our boy was truly loved. "We are absolutely grief stricken. We have lost our boy, our son who we adored. A father who was idolised by his daughter, a brother who was loved dearly and an uncle, nephew and friend who was loved and respected. We are broken-hearted, we miss you so much and you will live in our heart's FOREVER, we are so proud of you. We are so SORRY if we let you down in anyway, you were always there for us. "Rocky I'm so proud to be your mum and I cherish every moment that we shared. Anyone who really new you knows you have a heart of gold and you'd do anything tho help those you love. "Daddy/Rocky our hearts are broken and will never be the same again. We have always loved you and we always will. We will miss you forever, your baby Macy and Jane. "For those who are helping the police with their enquiries we can't thank you enough and urge anybody to come forward with any information no matter how insignificant you may think it is. "This happened in a child's play park in broad daylight and we would not want any other family to go through what we are going through." 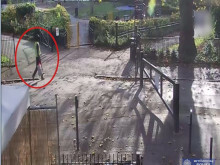 The investigation was launched after police were called to Southwark Park shortly before 14:00hrs on Wednesday, 31 October to reports of a man assaulted. The attack happened by a playground near the Gomm Road entrance. Officers, London’s Air Ambulance and the London Ambulance Service attended and found Rocky suffering from stab injuries. Despite the efforts of emergency services, he died at the scene. A post-mortem took place on Thursday, 1 November and gave the cause of death as a stab wound. There have been no arrests; enquiries continue.